The most charming Craftsman style cottage on premium lot with panoramic views of the conservation and pond. 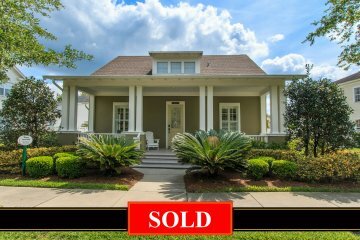 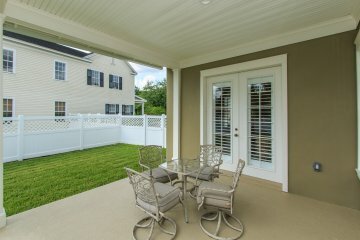 This popular Remington model with 4 bedrooms. 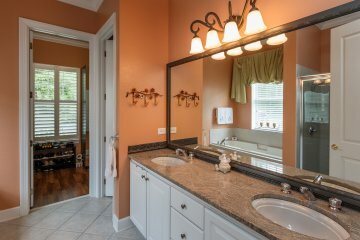 and 3.5 baths has many features to offer the most discerning buyer. 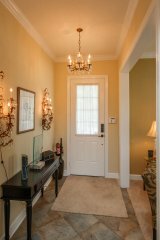 Upon entry is a large foyer area with separate spacious formal living and dining room areas. 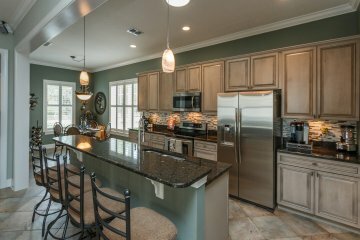 The upgraded kitchen is light and bright with French doors that lead onto a side covered porch. 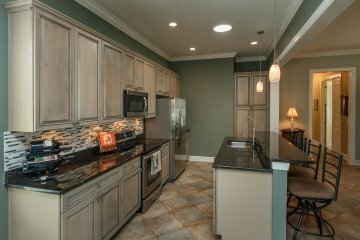 Upgraded stainless steel appliances, Pewter 42” Maple custom cabinets, modern mosaic tile back splash with exquisite granite counter tops. 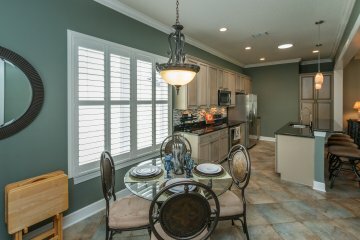 Breakfast snack bar and nook. 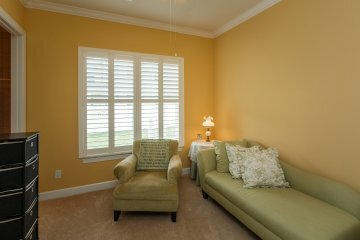 Lots of windows grace this special home. 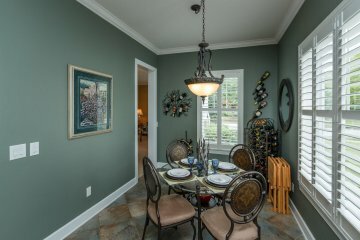 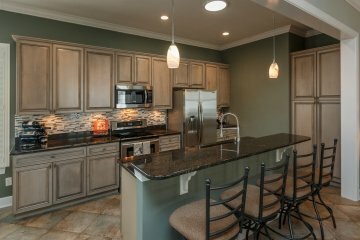 Kitchen opens to family room-great for entertaining!! 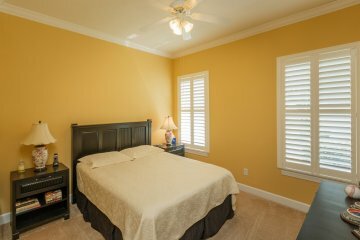 Features include plantation shutters, crown molding throughout, surround sound in family room, central vacuum, freshly painted exterior and interior, upgraded carpet, water softener system, new AC heat pump 2013, new hot water tank 2013 and gutters. 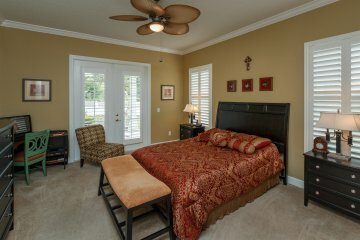 Master bedroom is very private-separate from secondary bedrooms. 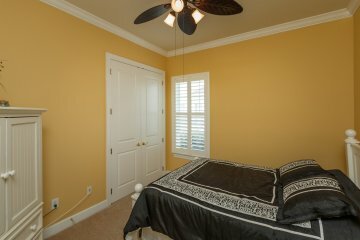 Large walk in closet w/ Organizers in all bedroom closets. 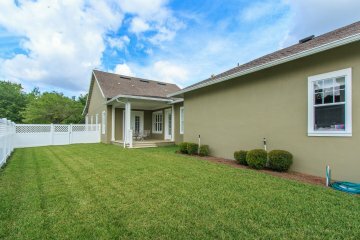 Over sized 2 car garage with plenty of storage space. 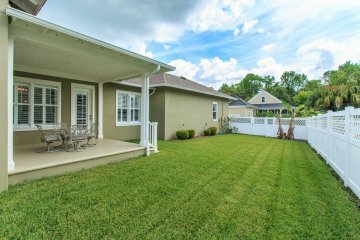 Large yard –plenty of room for a custom pool. 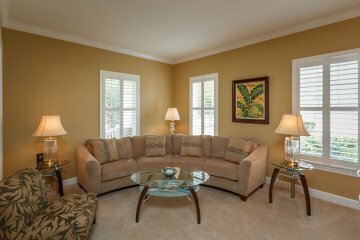 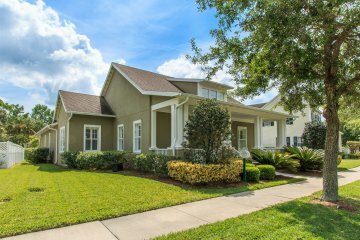 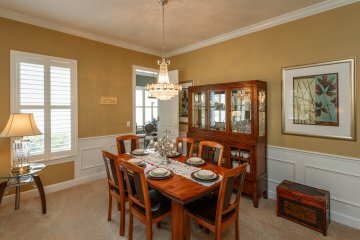 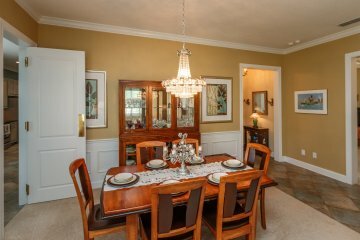 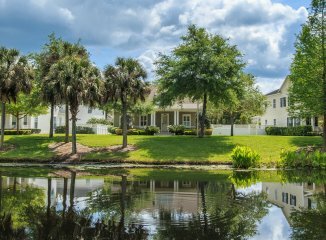 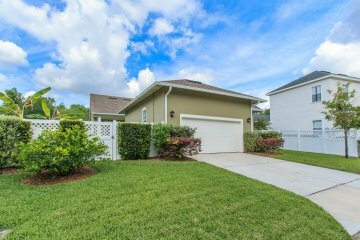 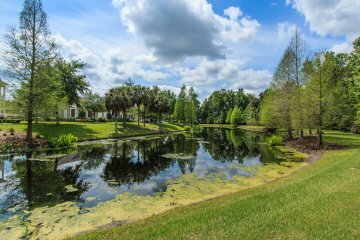 You’ll love sitting on your spacious front porch overlooking the pond and preserve. 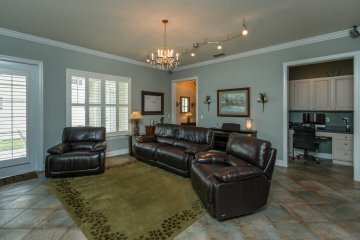 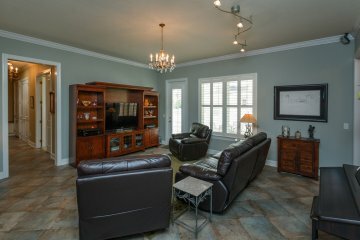 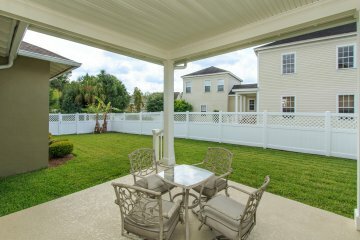 Walk to Artisan Park Clubhouse and enjoy all of the club’s exclusive amenities.